Mar. 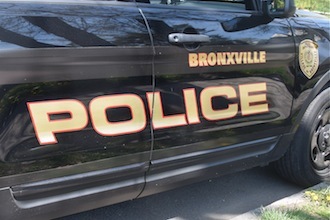 20, 2019: The following entries are from the Bronxville police blotter. February 28, 2019, 8:55 pm, Avon Road: Alarm company reported a carbon monoxide alarm activation. Police and EFD reported that it was caused by a system malfunction. March 1, 2019, 2:04 am, Pondfield Road: A vehicle struck a No U-Turn sign on Pondfield Road at Valley Road. The driver, who reportedly had fallen asleep, was issued a citation for crossing a hazardous pavement marking and a criminal court summons for Damage to Village Property. March 2, 2019, 3:54 pm: A resident reported that a credit card linked to her account had been used to make $200,000 in purchases. She had already made an agreement and collected some of the money from the people who racked up the charges; therefore, she was directed to continue handling the matter civilly. March 3, 2019, 8:54 am, CVS Store, Pondfield Road: A 69-year-old woman of Yonkers was charged with petit larceny for stealing $57.97 worth of cosmetics. She was processed and released on her own recognizance pending her next court appearance. March 5, 2019, 10:13 am, Park Place: A parking boot was affixed to a vehicle rendering it immobilized due to $305 in outstanding parking fines. The vehicle was released later in the day after the fines were satisfied. March 5, 2019, 6:39 pm, Pondfield Road: A ring was found and turned over to police. Anyone who lost a ring should contact the Bronxville Police Department with a description and proof of ownership. March 6, 2019, 7:02 pm, Police Headquarters: A 38-year-old man of Yonkers was charged with bail jumping (misdemeanor) for failing to appear in Bronxville Justice Court on October 3, 2018. The man was processed and released on his own recognizance pending his next court appearance. March 6, 2019, 7:31 pm, Police Headquarters: A 39-year-old man of the Bronx was charged with bail jumping (misdemeanor) for failing to appear in Bronxville Justice Court on October 3, 2018. The man was processed and released on his own recognizance pending his next court appearance. March 7, 2019, 8:14 am, Pondfield Road: A 50-year-old man of Yonkers was charged with operating a motor vehicle with a suspended registration (misdemeanor) after an on-board license plate reader indicated to the officer that the registration to the 2017 Land Rover he was operating was suspended for five or more parking violations in twelve months. The Land Rover was impounded. The man was processed on scene and released pending his next court appearance. March 8, 2019, 12:14 am: Police responded to a past physical altercation between family members. No injuries were reported. A domestic incident report was completed. March 9, 2019, 11:26 am, Palmer Avenue: A wallet was turned over to police. The owner was contacted and he picked up his property; no items were missing. March 9, 2019, 4:18 pm, Bank Pondfield Road: A Yonkers man reported that he was approached by a woman outside Citibank and was asked to deposit a check for her and give her the cash. The man reportedly deposited the check and then sent the woman the cash via a smartphone cash application. The incident is being investigated.